The Cambridge Primary Review attracted significant attention from local, national and international media. Part of the Cambridge Primary Review Trust’s research involves archiving the work of the CPR. Part of it is now accessible by clicking the links below. The rest will be fully available through this website soon. Watch this space. To view the remit of the archive project currently being undertaken, please click here. 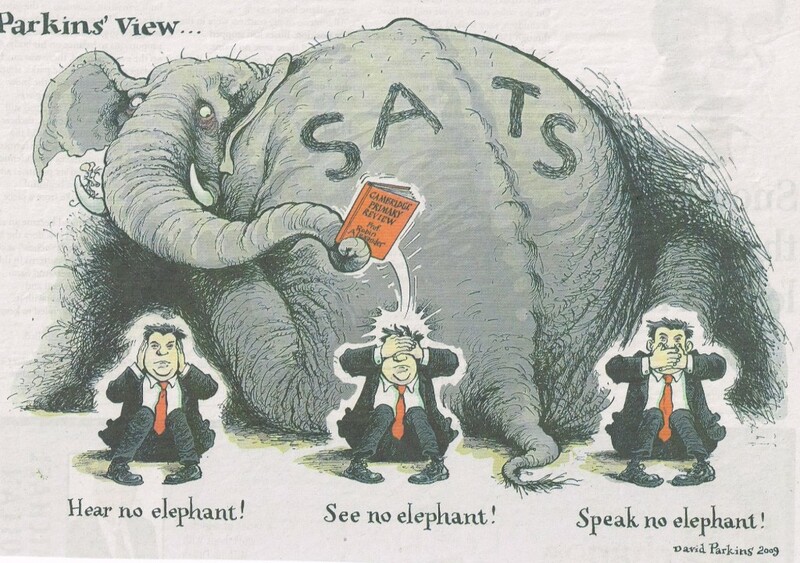 Secretary of State Ed Balls confirms Robin Alexander’s claim, based on CPR evidence, that high stakes testing has become ‘the elephant in the curriculum’. Click on image for BBC coverage of 20 February 2009. Cartoon from Times Educational Supplement, 27 February 2009.